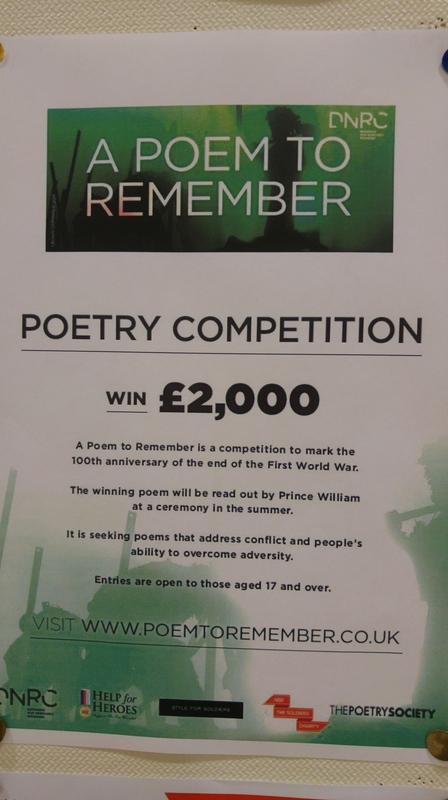 Or b) poets who write about war? I saw this poster and, for two seconds, considered writing something for it. Then I read it and began to consider what exactly were they looking for? Would they want a ‘war is abhorrent, causes nothing but suffering, pain and misery, and it is about time that we evolved Humanity to a state where wars no longer took place’, or would they rather a ‘war is an unfortunate, yet necessary evil, in which good will triumph, and all those who fight are ‘heroes”? I decided that the ‘judges’ would err towards the latter. I trust you know that my leaning is towards the former. Yet still you use our name.